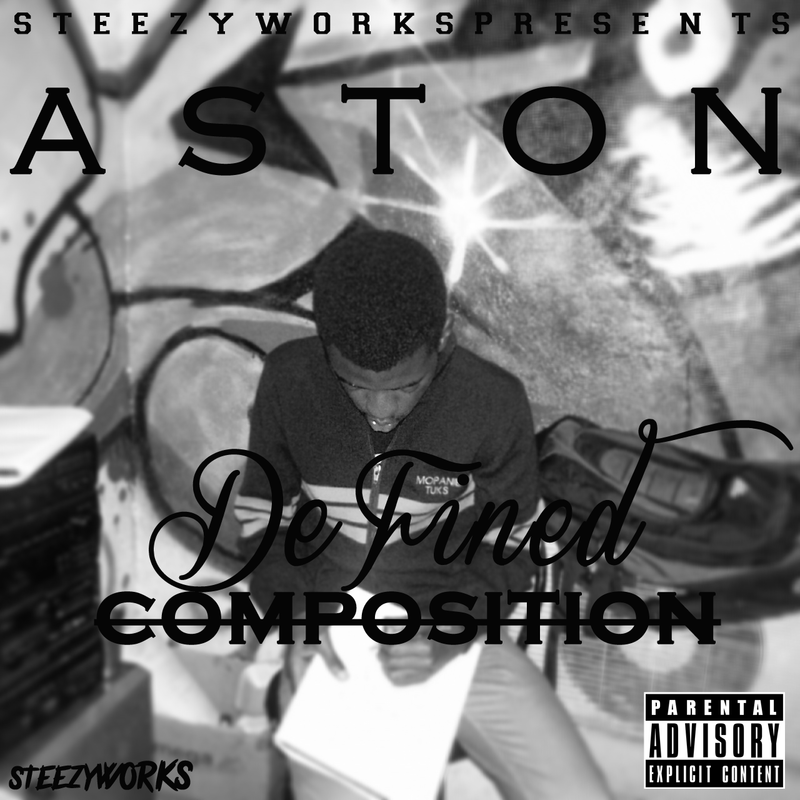 As promised Aston dropped his debut mixtape Defined Composition on the 4th of August. Releases now seem to be pouring in, as compared to the beginning of the year where a “drought” was being experienced. 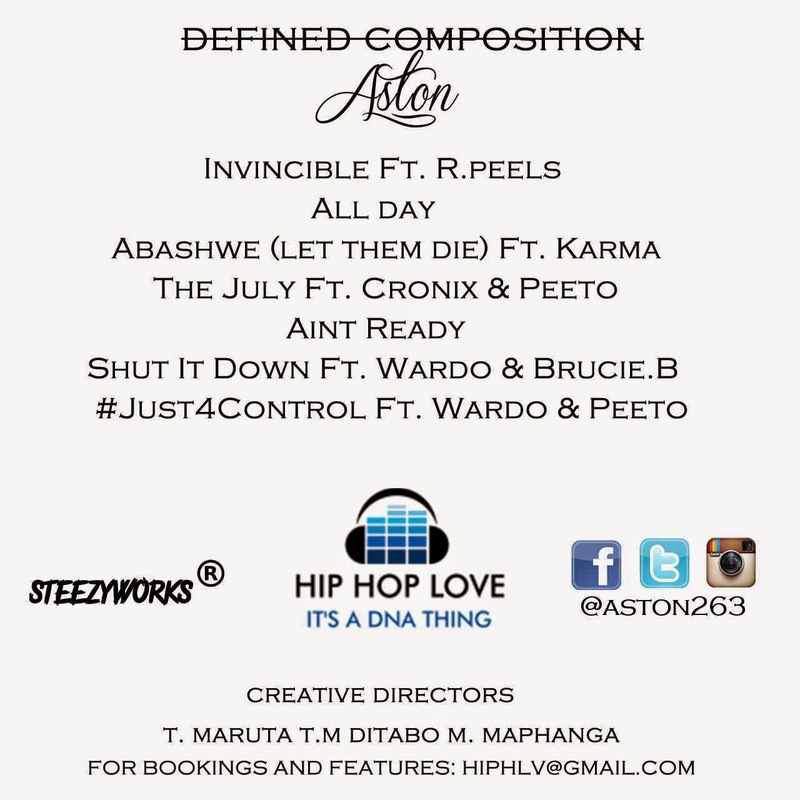 This mixtape serves to prove as Aston’s intro into the Zim Hip-Hop arena as he gives us 26 minutes to prove himself. The intro comes in hard with a rock-type feel to it, reminiscent of Linkin Park and fellow rapper R. Peels providing a surprise hook. After listening to the intro he can tell that he is G Records affiliated, with the Sharky, Savage, and Meyniak references/shout outs. One of my favourite tracks, the Mclyne-produced Abashwe (Tswana for Kill ‘Em) sees Aston call on the talent of fast-rising rapper Karma who nails his verse. This track is a bit confusing to classify as it borderlines between party and aggression. Mclyne did what he does best on the instrumentation. Some of the tracks are covers of already-known international tracks, (The July – Logic’s Ballin', Shut It Down – Meek Mill (Feat. Big Sean) -Burn) which may prove to work in favour of or against the cover songs as similarities will always be drawn between these and the originals. Another tricky thing on this project are misplaced features, like the Brucie B feature on Shut It Down. I commend the effort Aston did in coming up with this mixtape as experience serves to be the best teacher. A lot of potential is visible here and with some fine-tuning he could be among one of Zim’s best. The mixtape had a missing element, in my view, as only two topics are covered, mostly braggadocio and party music. We’re never given the opportunity to view a piece of Aston’s soul. Only one side is portrayed on the mixtape, unless there is a part 2 I’m unaware of. I hope in future projects this discrepancy will be balanced out to give a completely cohesive project. One thing you can’t take away from him is his belief in himself and I’m sure that will take him places.